Why Virgin Hair Bundles With Closure So Popular? 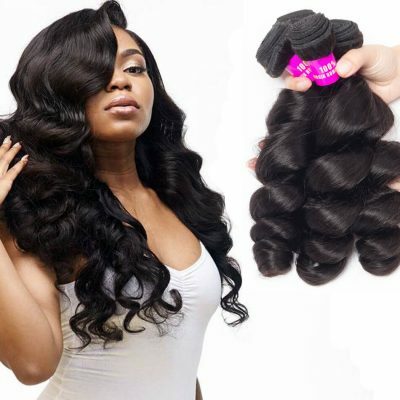 Virgin hair bundles with closure is a new trend in the hairstyle market, and it is becoming more and more popular. Do you know Why Virgin Hair Bundles With Closure So Popular? 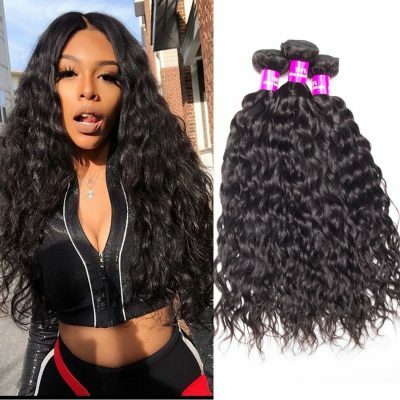 Whether it is Malaysian, Peruvian or Brazilian hair bundles with closure, it is all unprocessed and the highest quality 100%human hair.No tangle no shedding no smell, double layer. Many women want long, healthy, smooth hair, but as we all know, the natural growth of hair is very slow. The best way for women to enjoy long hair is to wear a Brazilian body wave hair extension. This way, you get the look you want in minutes. However, if hair weave bundles or lace frontal/closure is purchased separately, the price is very expensive. And there is a risk that it is not suitable for the shape of the head. 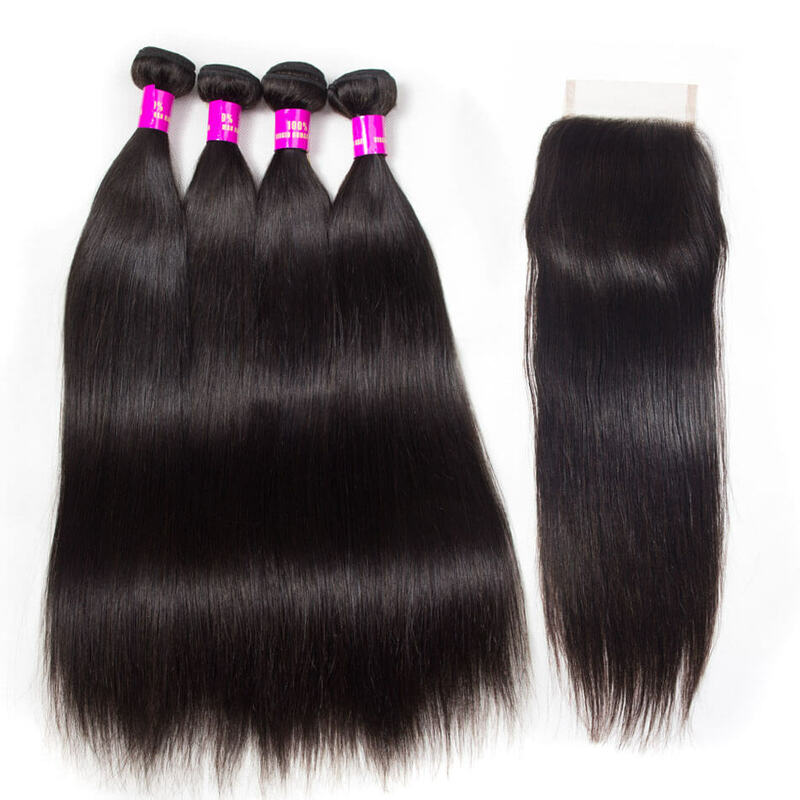 Therefore, most consumers will buy virgin human hair bundles with closure to improve their appearance. Then the question is coming, what is lace closure? What is the role? Please look down. 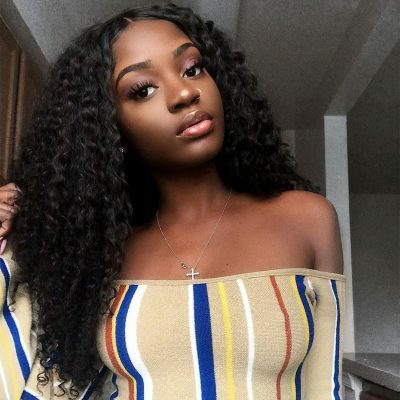 With a lace closure in place, all the hair can be plaited beneath the beautiful weave or wig and hence the hair will be safe from breakage and other damage. The flexibility and versatility of closures makes them applicable for just about all types of hair, whether natural, scanty, permed or the less thrilling receding hairline. The lace used on the closures is very thin and same color as the scalp and hence it looks natural. No one will be able to tell that you are wearing a wig or weave. Perfect for beautiful long wavy, curly hairstyles and short straight hairstyle. Many customers only use two and a half hair bundles to create their beautiful hair wigs. Evan Hair offers Brazilian body wave hair 4 bundles with lace closure the is best selling.Received the praise of consumers. Wearing extensions will help you bulid confidence because hair extensions can help you get more volumes and have a happier life. Brazilian straight hair has bounce, vitality, and thickness. Our body wave bundles are completely real human hair. It is soft, elastic and has a great sweetness. They can be designed in any style without any effort. Why Choose Virgin Hair Bundles With Closure? Virgin hair has not been treated, and it does not cause any harm to your natural hair. It is well maintained and lasts longer. Evan Hair makes 100% virgin human hair with grade-quality and rock-bottom price. From the material collection, processing, package, marketing, shipping to the service, we strive for perfection. For a long hairstyle, you need virgin hair 4 bundles with closure for full to sew in. For a short hairstyle, you will need virgin hair 3 bundles with closure for full sew in. Even if you buy hair separately, you will need 3-4 bundles with hair closure/frontal to create a hair wig. More importantly, buying hair bundles with closure is much cheaper. 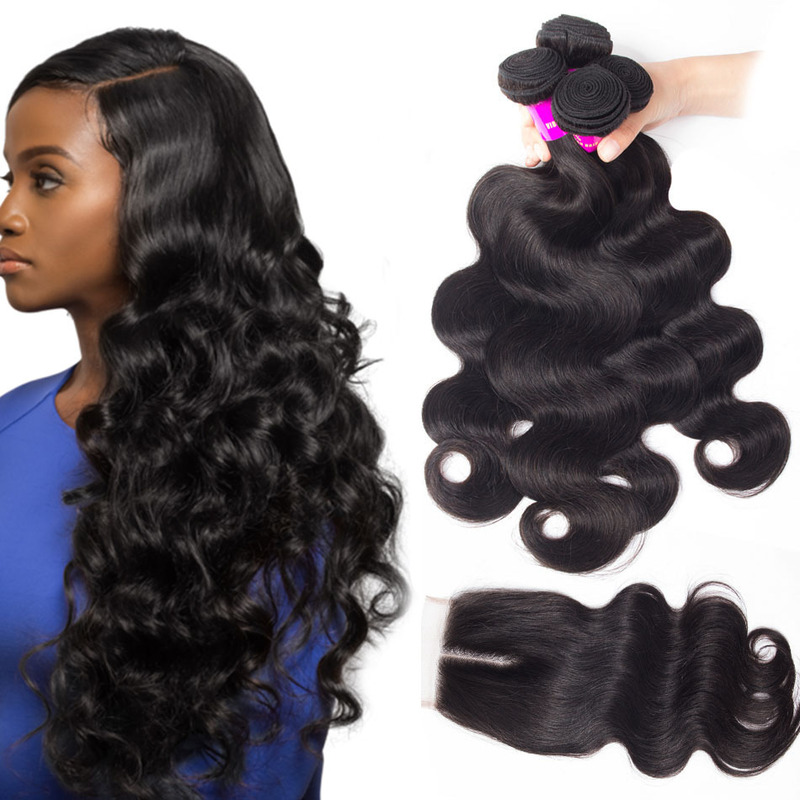 Cheap hair bundles with closure, high-grade bundles with closure and best service, I think this is the reason why DSoar hair is popular. Are you looking for virgin hair bundles with closure? The woman’s hair not only reflects her beauty but also reflects her personality. Use DSoar’s hair bundles with lace closure to make you the most fascinating one in the crowd. Evan hair is unprocessed 100% human hair, find the best quality Brazilian hair bundles with closure in Dsoar at the affordable price.